The B.C. Coroners Service has completed both an autoposy and toxicology tests on 31-year-old Glee star Cory Monteith, who was found dead in his Vancouver hotel room on Saturday afternoon. Results aren't expected for several days. The B.C. Coroners Service has completed both an autopsy and toxicology tests on 31-year-old Glee star Cory Monteith, who was found dead in his Vancouver hotel room on Saturday afternoon. Coroner Barbara McLintock said toxicology samples will be sent to a provincial lab for testing. The results of both the autopsy and the toxicology tests are not expected to be released for several days, but McLintock said she would try to expedite the process. "We might try and do some queue jumping to see if we can get them a little earlier, simply because we recognize this is a case with huge amount of public interest," she said in Victoria. "We'll try and get them done reasonably quickly, but still maintaining the integrity of the investigation and the same tests and the same thoroughness we do for anyone else." McLintock had said earlier an autopsy may not be necessary if the cause of death can be determined by the deceased's history or medical records, or information gathered at the scene. But with no obvious cause of death noted upon initial examination of the scene, McLintock later said the tests would be necessary. Investigators have already said there's no sign of foul play and no obvious indication of what caused the actor's death. Police said Monteith had been out with people earlier, but video and electronic records from the Fairmont Pacific Rim hotel indicated he returned to his room by himself early Saturday morning. He was believed to be alone when he died. McLintock said she's surprised how much international attention Monteith's death has garnered. "It's amazing. I think he's always been seen in Victoria here as 'local boy makes good' ... but I think I certainly didn't realize what a big star he had become in the whole world," she said. "We've had calls from England, Ireland, Brazil this afternoon. The biggest TV network in Latin America is interested in [the case]. This guy really was an A-lister and that seems to somehow make it doubly tragic, tragic for anyone that age who passes suddenly." Monteith is being remembered for his talent, friendly disposition and generosity — with several Vancouver-area charities, including Project Limelight, a drama and performance program for inner city children — saying Monteith's enthusiastic support will be sadly missed. The Fox network and the producers of Glee, including 20th Century Fox Television, called Monteith an exceptional performer "and an even more exceptional person." They said he was "a true joy to work with and we will all miss him tremendously." Lea Michele, Monteith's Glee co-star and real-life girlfriend, asked for privacy upon hearing the news of his death. While it's not known what caused his death, Monteith's passing recalls the lives of Heath Ledger, Corey Haim and River Phoenix — actors who battled substance abuse and died in their 20s and 30s. "It would be my suspicion that it just became too much for Cory," said Monteith’s former acting coach in Victoria, Jacqui Kaese. "I think there’s this common denominator we’re seeing with Heath Ledger and some of the young rockers that have died in their early 30s. I don’t quite know what it is. They’re on this high for quite some time and they’re working so hard and they can’t catch up. Normal life doesn’t exist any more ... and they become vulnerable again." 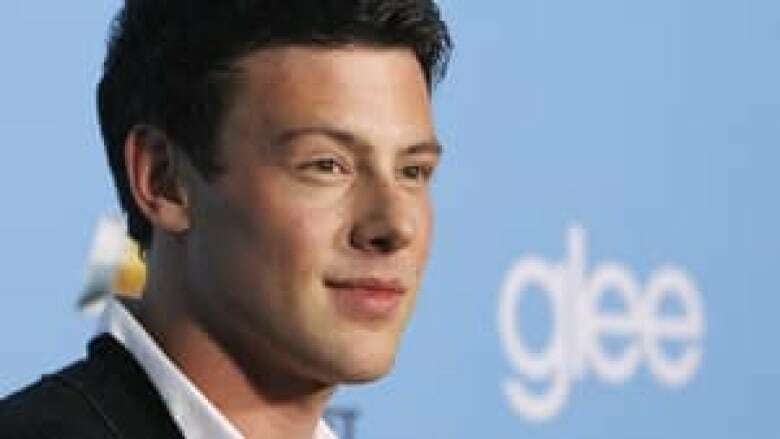 Monteith talked bluntly about struggling with addiction since he was a teenager, calling it a serious problem and telling Parade magazine in 2011 he was "lucky to be alive." Monteith admitted himself to a treatment facility in April for substance addiction and asked for privacy as he took steps toward recovery, a representative said at the time. It was not Monteith's first time in rehab. He also received treatment when he was 19. "I think kids really need a place to go and feel like they belong," he said in the video posted the site for Project Limelight, a Vancouver charity offering theater and arts programs to at-risk youth. "When I was a kid, I struggled a lot with who I was and where my life was going and what I was interested in. And I was fortunate to have the arts inspire me." Kaese, who gave Monteith acting lessons while he was still living in B.C., said she and casting directors already knew he would make it big one day. "We would all agree he was destined for super stardom. He had sort of an aura and a unique way about him that you just knew that he was going to be big time. We’re very blessed to have known him and worked with him," she said. Glee, with its catchy song-and-dance numbers and high-profile guest stars such as Gwyneth Paltrow and Britney Spears, became an instant hit when it debuted in 2009 and made celebrities of Monteith and the rest of the relatively unknown cast. Over the past four seasons, he delivered renditions of such classics as U2's One and R.E.M. 's Losing My Religion. Monteith played Finn Hudson, a football quarterback with two left feet who found more camaraderie in the choir room than on the football field. After graduating high school, the character of Hudson was seeking to find himself before settling on what he wanted to do with his life: become a teacher and mentor. Outside the Vancouver hotel where Monteith's body was discovered, a makeshift memorial popped up where fans left flowers and notes commemorating the actor. A candlelight vigil, organized by a young fan, is planned for Friday at 8 p.m. PT in front of the Fairmont Pacific Rim. "It was just kind of a spur of the moment thing," said Karleigh Walker. "Los Angeles did it, New York did it, I felt like since Vancouver was a really big part of his life ... we should definitely honour that part and take pride." On Monday, Walker said she was still in shock about the celebrity's death. "I really hope a lot of people around town and even a little bit far out will come in and show their love, so we can get together and kind of talk about him for a little bit."